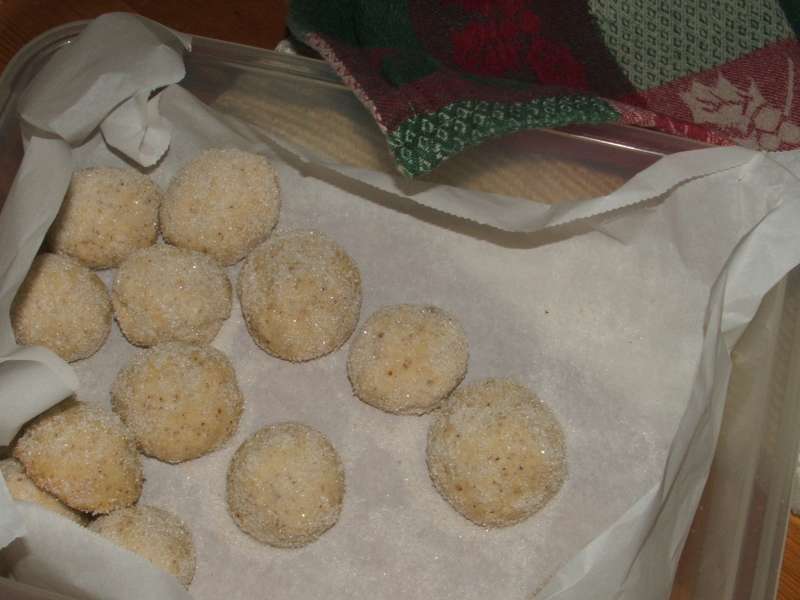 This cookie is basically a shortbread made with ground almonds. We either form the dough into crescent shapes (not pictured) and directly after baking, roll the hot cookies in icing sugar. 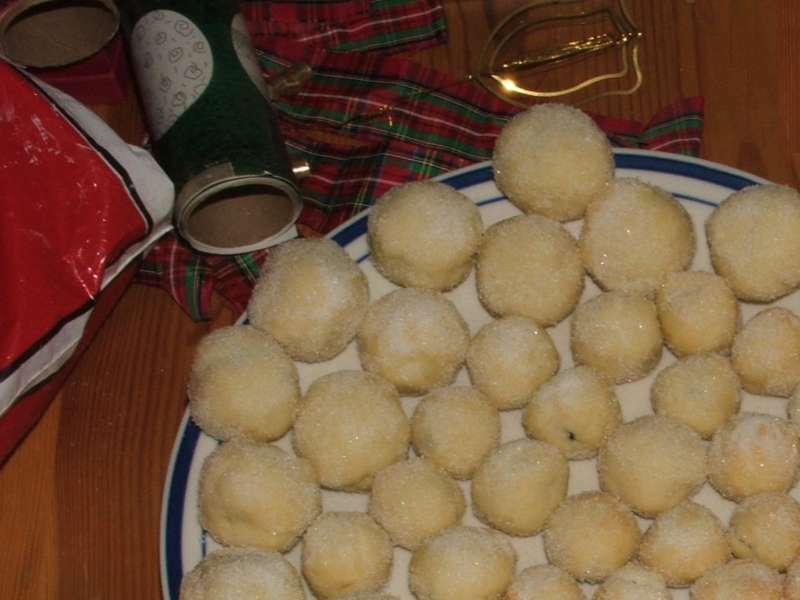 Or we form them into balls with cherries in the centers and roll the hot cookies in granulated sugar. 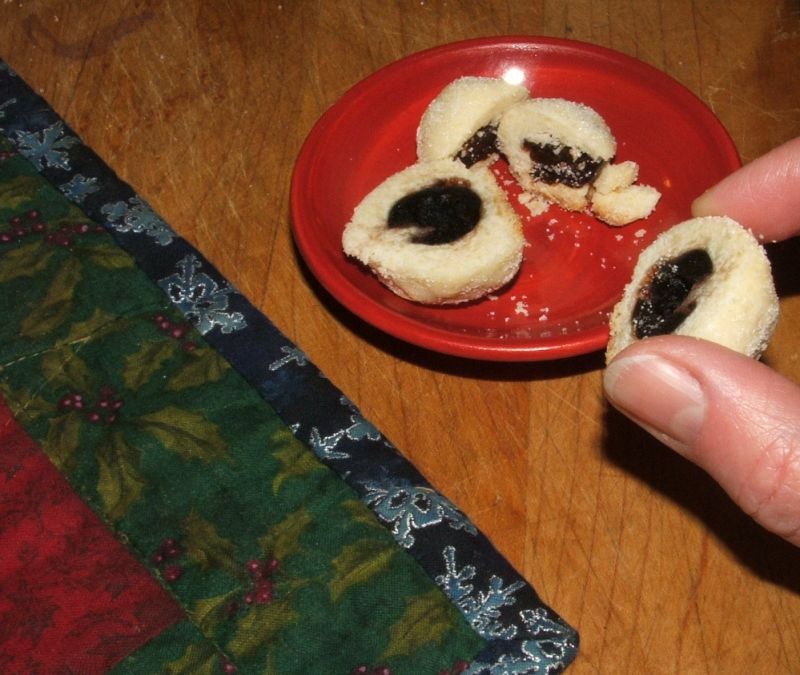 Mum always used Maraschino cherries for the centers of these cookies. I used dried cherries this year. I love them!! The only change I'd make would be to use two cherries rather than one in each cookie. 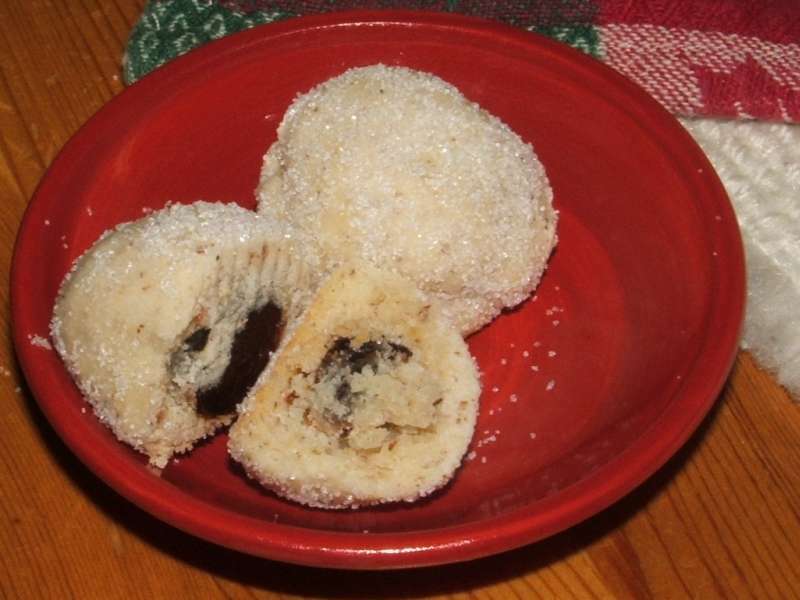 2012: As an experiment, I put two dried cherries in some of the snowballs and one in some smaller snowballs. It turns out that the smaller ones are better! 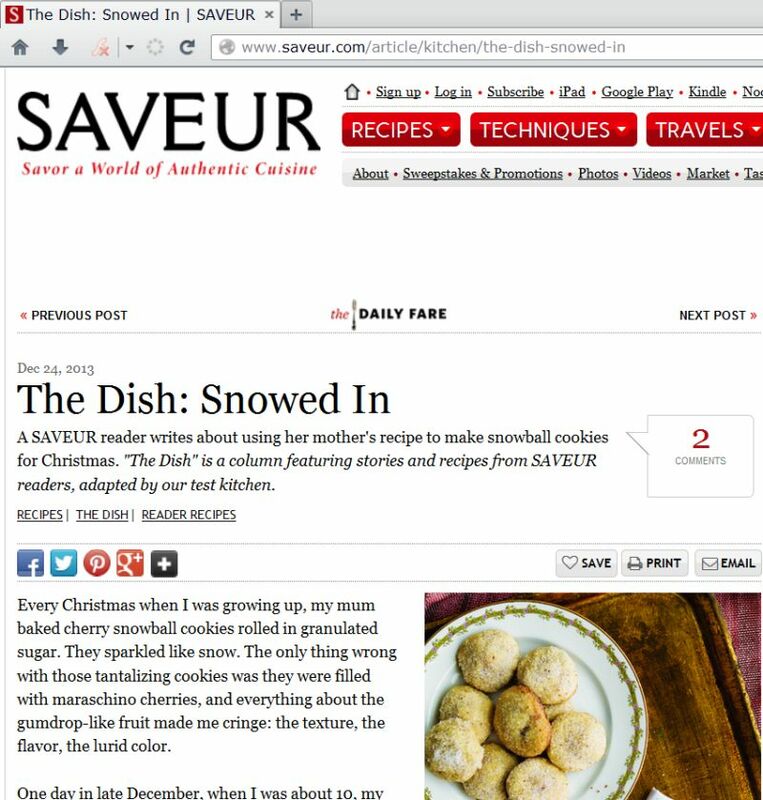 December 2013: I was thrilled when SAVEUR magazine announced that they would feature our Cherry Snowballs in their December issue. 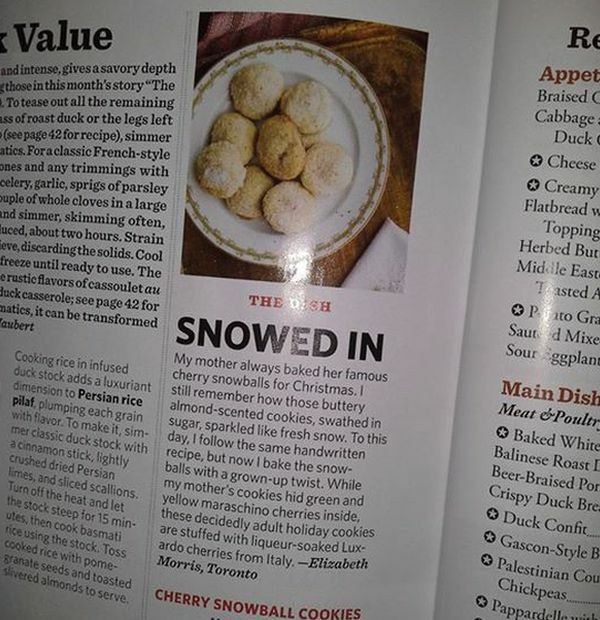 (saveur.com/article/kitchen/the-dish-snowed-in) They did make a few changes to the recipe, including using "Luxardo" cherries instead of dried cherries. 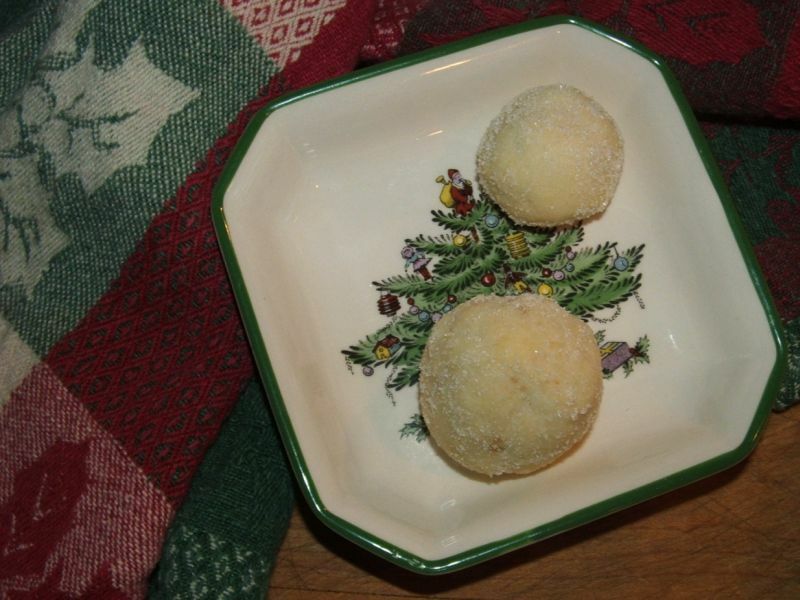 Here, the larger snowball is made with a Luxardo cherry and the smaller snowball is made with two dried cherries. 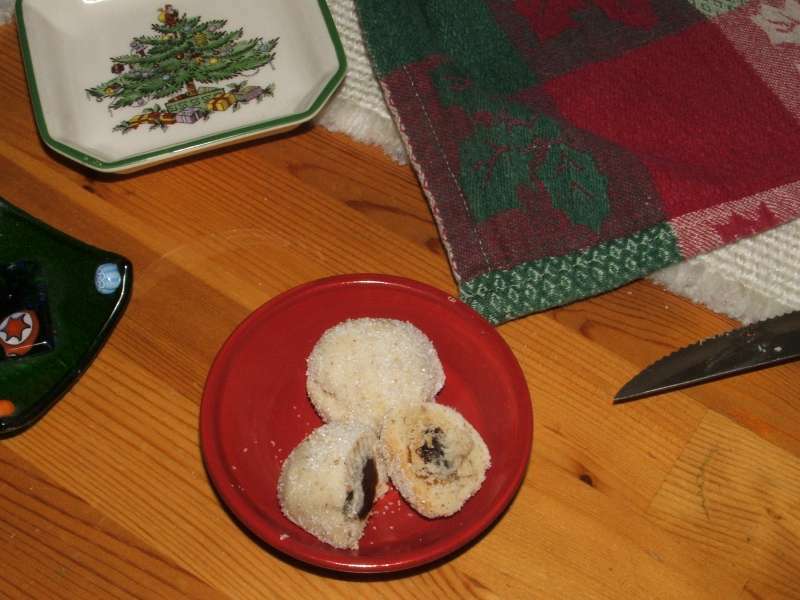 Both versions are delicious but it was no surprise to us that we preferred the cookies with the dried cherries. 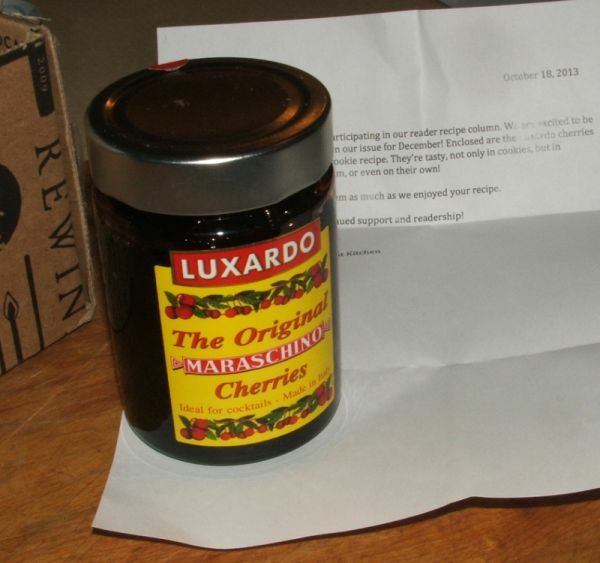 I was ecstatic when the SAVEUR kitchen sent me a jar of Luxardo cherries! They're still maraschino cherries but they taste much better than regular old maraschino cherries. 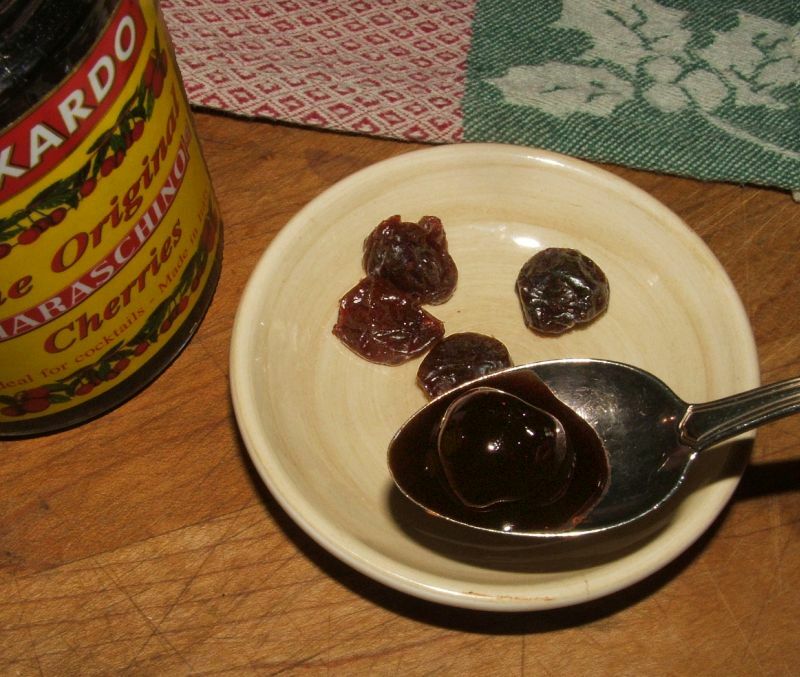 Here is the difference between dried cherries and Luxardo cherry. Of course, the Luxardo cherry is round and its colour is beautifully dark. And I was really excited to see my name in the magazine. I was not so happy about what they did to my words though, leaving only my name and three of the original words: "cherry", "snowball" and "Christmas".